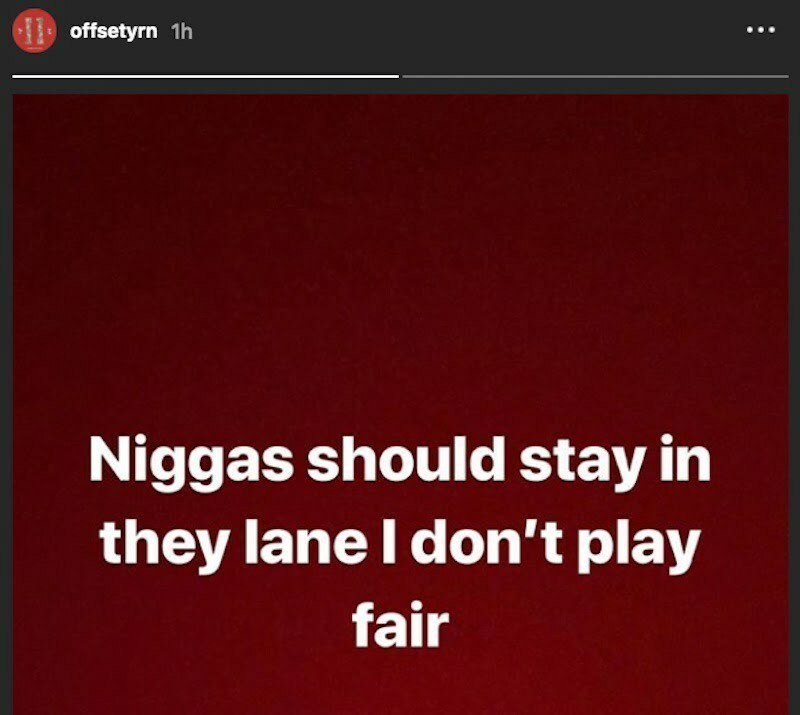 Offset got something to say to Nicki Minaj amidst her fight with his wife Cardi B. Offset has stepped into the ring after days of remaining silent about his wife Cardi B attacking Nicki Minaj at a New York Fashion Week party last Friday. The Migos rapper posted a chilling message to his wife’s nemesis on Instagram Story last night. His message shortly after Nicki aired out both himself and Cardi on her Queen radio show. “Ni**as should stay in they lane I don’t play fair,” he wrote. In her rant on Queen radio episode 8, Nicki Minaj accused Cardi B of sending her goons to beat up two female strippers who Offset was allegedly cheating with. The rumors have been in the media blogosphere for the past few weeks, but the Migos rapper never addressed it. 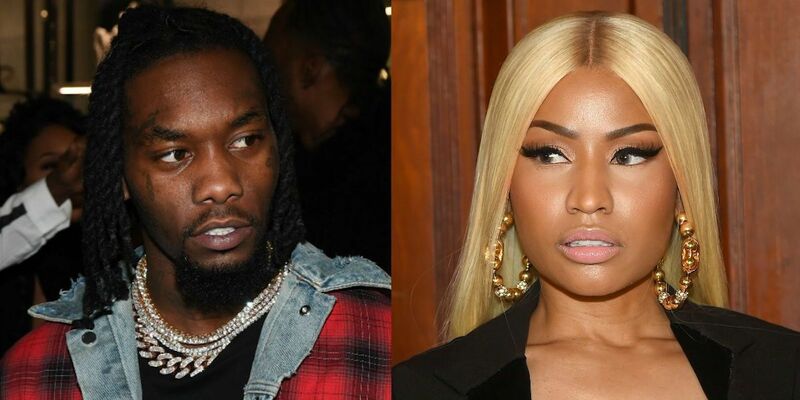 While Offset didn’t mention Nicki by name, fans have already drawn the conclusion based on how hard the “Barbie Dreams” rapper went on the two of them on her radio show on Monday. The Young Money rapper denied some accusations made by Bardi claiming that she spoke ill of her and her child. Perhaps Offset felt the same type of way as his wife about Nicki allegedly talking about their baby girl Kulture.